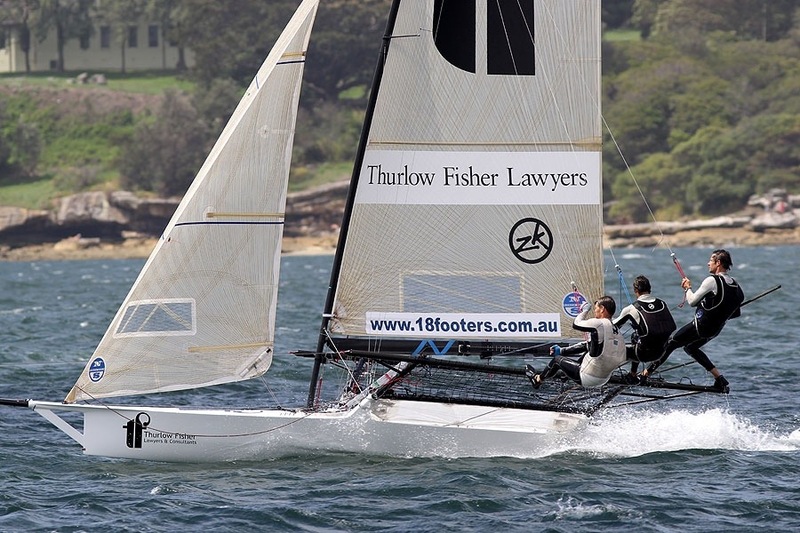 The Thurlow Fisher Lawyers 18ft Skiff team of Michael Coxon, Trent Barnabas and David O’Connor gave a wonderful exhibition on Sydney Harbour today when they took out Race 4 of the N.S.W. Championship in an 18-25-knots South-East wind. After trailing Gotta Love It 7 by just 3s at the first windward mark, Thurlow Fisher Lawyers grabbed the lead when Gotta Love It 7 capsized and from that point Thurlow’s crew were brilliant as they led clearly for the rest of the course. The battle behind the winner saw many positional changes throughout the race before Smeg (Nick Press, Dan Phillips, Dave Ewings) finally came home 1m25s back in second place. 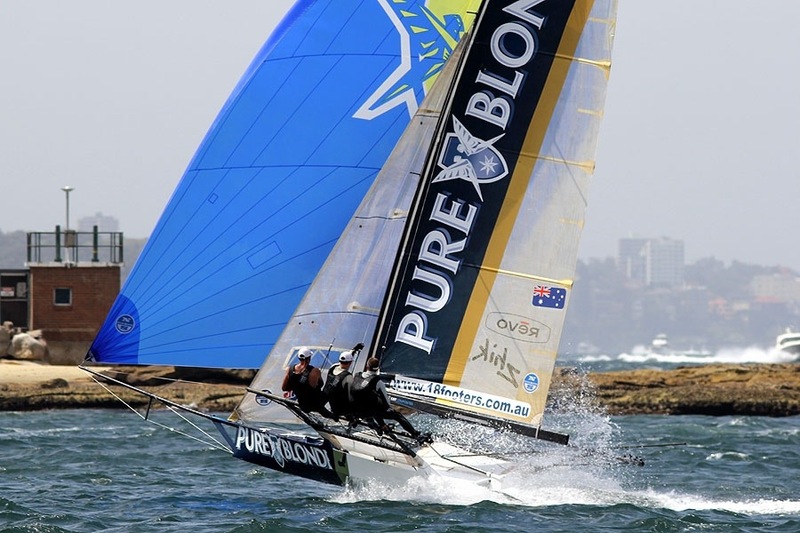 Pure Blonde (Tom Clout, Rob Bell, Matt Wark) worked her way through the fleet, after trailing early, to finish a further 5m9s in third place. 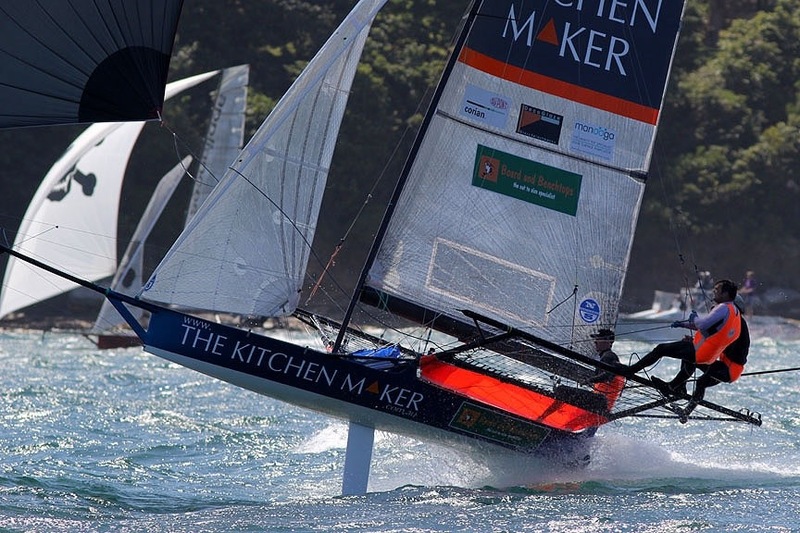 James Dorron and his Mojo Wine team showed their skill by finishing fourth after gear failure which prevented their use of a spinnaker on two of the latter runs. John Winning’s Yandoo was fifth, to give the team the series lead on 16 points. Overall standings has Smeg in second place on 18, followed by Gotta Love It 7 (Seve Jarvin) on 29, Thurlow Fisher Lawyers 31, Pure Blonde 34, Coopers-Rag & Famish Hotel (Jack Macartney) and Mojo Wine on 35. Thurlow Fisher and De’Longhi-Rabbitohs (Simon Nearn) won the start and were leading the group on the LHS of the course near Steele Point. Gotta Love It 7 and Smeg elected to go to the right and sailed to the western side of Shark Island. 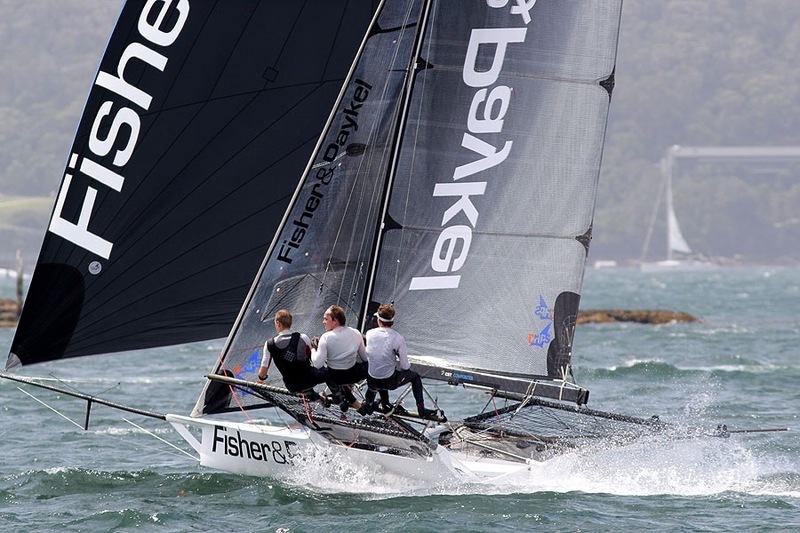 The two groups converged only 50 metres from the Rose Bay windward mark and there was little difference between them as Gotta Love It 7 led Thurlow Fisher Lawyers by the mere 3s. 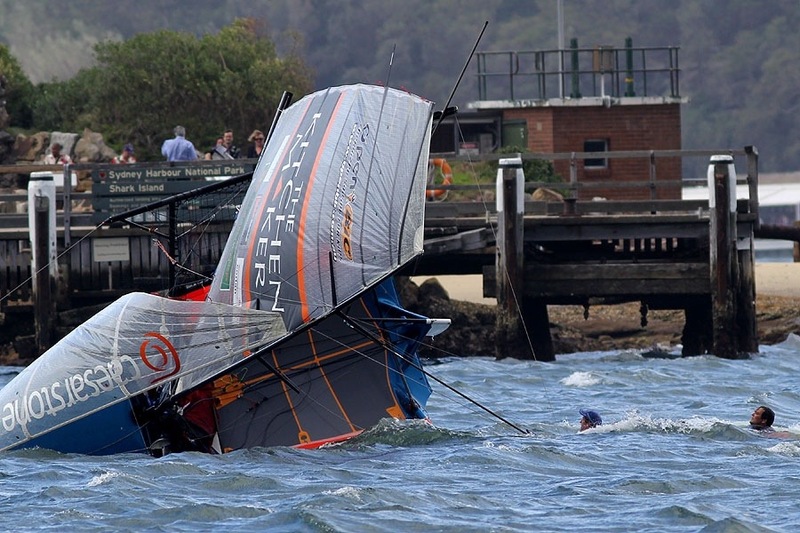 Shortly after rounding the mark, Gotta Love It 7 capsized and the resulting damage has caused serious damage to the hull, which could have a drastic affect on the team’s chances of defending their Giltinan title next week. 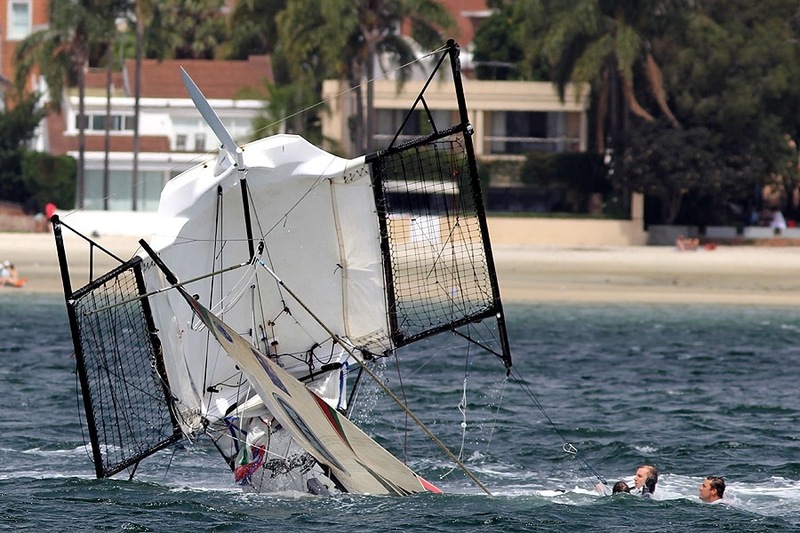 The conditions were took a heavy toll on the race as six teams failed to complete the course, while four others did not make it to the start. 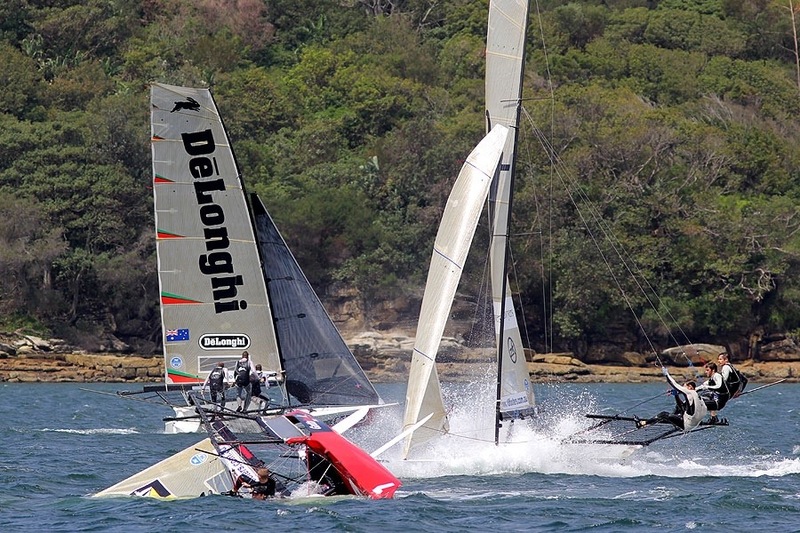 Next week we have the biggest 18ft Skiff event on the world calendar when the Australian 18 Footers League will conduct the Winning Group J.J. Giltinan 18ft Skiff Championship for 2013. There will be NO ferry following the Invitation Race next Friday, however there will be a spectator ferry following each of the seven races of the championship (including two ferries for Race 7 on Sunday 24 February). Dates for the championship races are February 16, 17, 19, 20, 21, 23, 24. 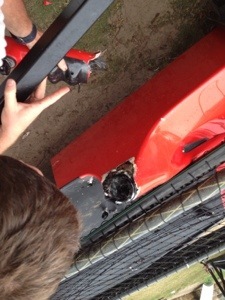 All races (except those on February 16 and 23) will start at 3pm. Races on February 16 and 23 will start at 4pm. The spectator ferry will depart Double Bay Public Wharf 30 minutes before the scheduled start time of each race.